Dateline Chatline is a major social TV initiative aimed at merging “all viewer discussion surrounding Dateline into one easy-to-access, user-friendly online site,” according to the network. 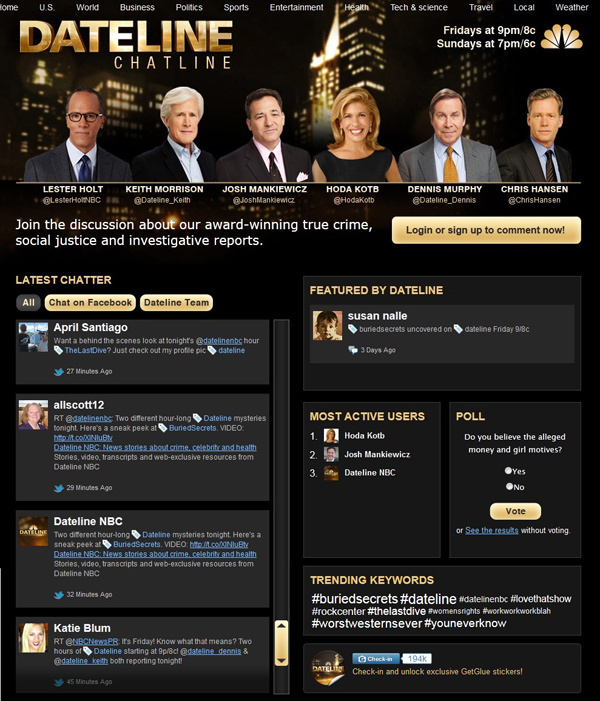 At its core, Dateline Chatline is a Web app that can be used from computers, tablets and mobile devices, the melds features and content from Facebook, Twitter, GetGlue and DatelineNBC.com. Viewers will also be able to interact with the show’s talent, including anchor Lester Holt.